This paper presents the open-source eye tracking platform CrowdWatcher. It enables researchers to measure gaze location and user engagement in a crowdsourcing context through traditional RGB webcams. The proposed platform particularly advances the field of Quality of Experience (QoE) research, as it allows the experimenter to collect remotely and with very limited effort novel information from crowds of participants, such as their commitment towards a task, attention and decision-making processes. Two different experiments are described that were conducted to demonstrate the platform’s potential. The first experiment addresses the measurement of participants’ behavior while performing a movie selection task. Results show that the platform provides complementary information to traditional self-reported data by taking gaze analysis into account. 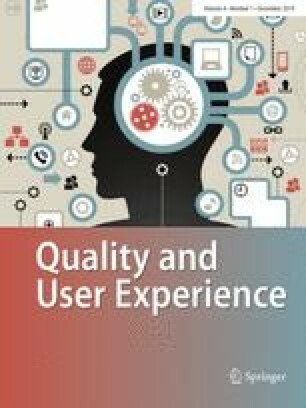 This is of particular relevance, since in a crowdsourcing context decision processes and attention are difficult to assess, and there is often limited control over the engagement of the test user with the task. A second experiment is conducted in the scenario of a multimedia QoE test. Prediction accuracy is compared to a professional infrared eye tracker. While CrowdWatcher performs less well than the professional eye tracker, it is still able to collect valuable gaze information in the far more challenging environment of crowdsourcing. As an outlook to further application domains, the usage of the platform to measure user engagement allows participants who do not pay attention to the task to be identified. The authors thank Microworkers.com for sponsoring some of the crowdsourcing experiments. The research leading to these results received funding from the Deutsche Forschungsgemeinschaft (DFG) under Grants HO4770/2-2, TR257/38-2.